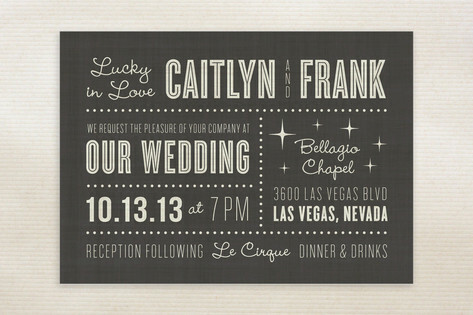 A playful typographic invitation with a retro flair. Just the thing for a Vegas wedding or any celebration that requires a little dazzle. Available colors include Charcoal (shown), Midnight, and Black. Dimensions : 5" x 7"